Hi everyone! This is Jamie Parker. A week before school began this past year, I arrived in my classroom to find five iPads sitting on my desk. I was thrilled! BUT I had no idea how I was going to use them with my students. I wanted the iPads to be used in a meaningful way. I began digging for different tools where my students could prepare and practice different elements, could create something new, and could be assessed on known material. 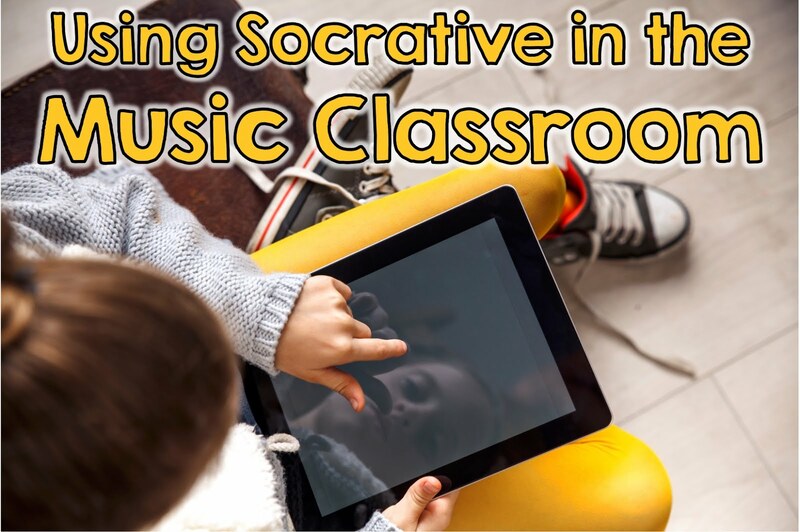 My first step in getting started with Socrative was to create a teacher account (completely free!) on the website: www.socrative.com. Then, I downloaded the student app on each of my devices (also free). Once I was set up, I tried to think of ways I could create quizzes. I wanted my quizzes to directly reflect what the students were learning. I realized that I could not input musical notation into my question, but I could insert a picture (more on that below). When I created some quizzes, I ran into a problem—I wanted to use musical notation, but the app didn’t allow me to. My solution was to create a picture for each question. I created the pictures using PowerPoint. Each question was one slide, and after I finished, I saved the slides as jpegs. The music notation font I used is the Music Ed Font, which you can purchase here. This is a short response question. The students typed their answer in a text box. Since I only have 5 iPads, I had to think about how my class structure would work when using Socrative. I decided that the best use of my class time was to have rhythm centers. One of the centers would be an iPad station. Before the students started centers, they were given a few directions of how to use Socrative. When they got to the station, they needed to type my Room Code into the app. This is a code that gives students access to my quiz. I put the code on the board for the students to see. Initially, I thought this task might be difficult for some of my students. However, I found it to be quite easy for them. They are so used to logging in to different activities throughout their day! Next, the students needed to type their name into the app. Again, no problem. Then, the students had to complete the quiz. After they were finished, they needed to log out. The students all did a great job managing the actual app. The only issue that came up was that it took some students longer to answer the short answer questions. Their time at the station was over, but they weren’t finished with the quiz. I realized that I needed to lengthen the time at each center to make the iPad station work (I lengthened my station time to about 8 minutes). After your students finish a quiz, there are many ways you can view their results. You can get an entire class excel download, an individual student PDF, or a question specific PDF. You can also have the file emailed to you, or you can do a direct download. If you’re looking to use the quiz as an assessment, the entire class excel download is a great choice. It shows correct/incorrect answers by student, and it gives all short answer responses. I’m sure there’s even more I can do with this app, and I’m so excited to try more! I’m also still digging for more useful apps for the music room. If you have any suggestions, I’d love to hear them in the comments below. How Do I Keep Them Singing? 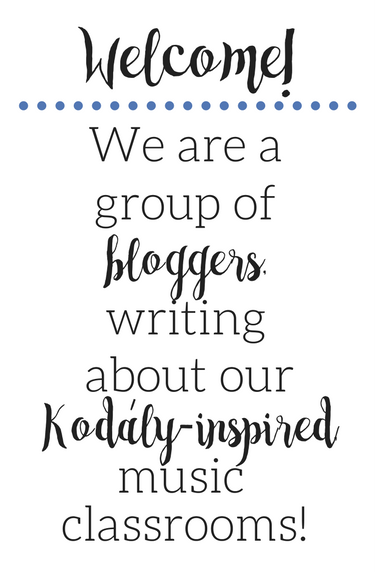 © 2015 Kodaly Corner. Felicity Template designed by Georgia Lou Studios All rights reserved.